The Francis family has been showing movies in Newberg for three generations. 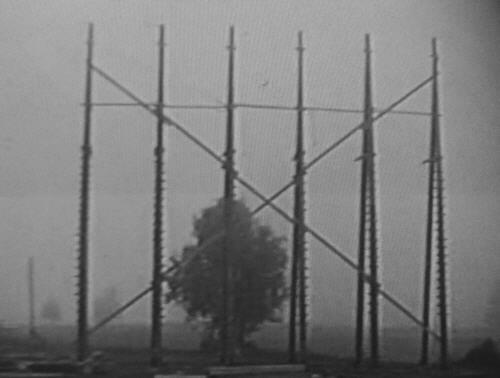 The 99W Drive-in theatre opened in August 1953 with "Sea Devils" and "Under the Sahara" as the first features to be played there. 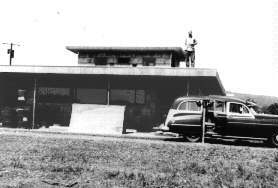 The theatre was built by my Grandfather, J.T. (Ted) Francis who, at 98 years old, worked 6 nights a week at the Cameo theatre until a few weeks before his death in 1999. 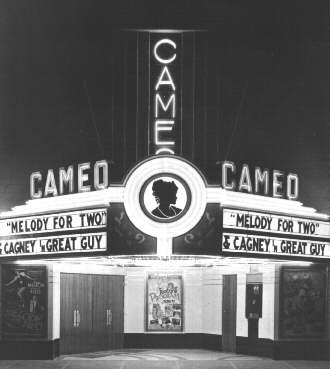 The Cameo is a nice single screen cement poured movie house built in 1937 located in downtown Newberg. Open every night of the week. 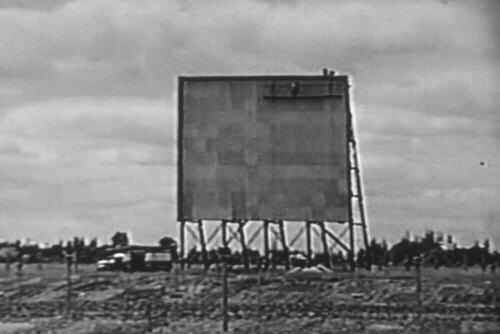 The 99W drive-in was a single screen drive-in from opening until 1983 when we built an indoor TWIN CINEMA on the property to be able to stay open year round. 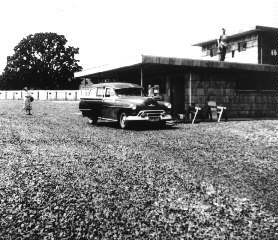 The indoors have 225 seats each, the drive-in can park 275 to 300 cars. The Twin closed in 2015 when available films ran out due to the industry move to digital. The 99W Drive-In is presently on its third screen! 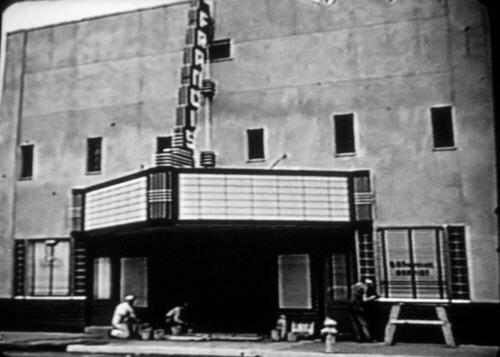 The first was lost in the Columbus Day Storm of 1962-it blew our marquee letters half a mile away and also destroyed the screen in neighboring McMinnville at the Corral Drive-in, which was run by three parties of which we were one, but it didn't continue after that. On it's site is presently a Wilco Farm Supply store and is curiously right next to a Walmart. Since 1994 we have been having larger car counts every year! Business was strong in the 50's to late 70's and was awful in the 80's and early 90's. It shot way up in 1994 when other neighboring drive-in's started closing down and when we started getting prints a lot sooner due to the enormous print counts now required to cover all the new existing indoor screens at the muti and mega plexes. We can now book any title just a few weeks into it's release where it took a month or longer a decade ago. 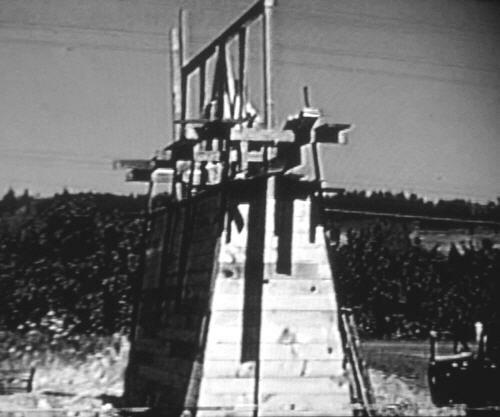 Portland now has no drive-in and we are only 23 miles away, so we get a lot of out of town business. We have regulars who drive down from Washington and other farther towns here in Oregon. We have radio sound since 1983 when we retired the in car speakers and added AM. FM was added in 1993. Part of our nostalgic appeal is that I maintain the old concession snack bar reel between shows so it's what you call a real intermission. Sometimes an older movie trailer is added for fun if it seems appropriate. Of course I am always looking to buy snack bar trailers since they do wear out and it is best to build up a reserve of this material for future presentation. 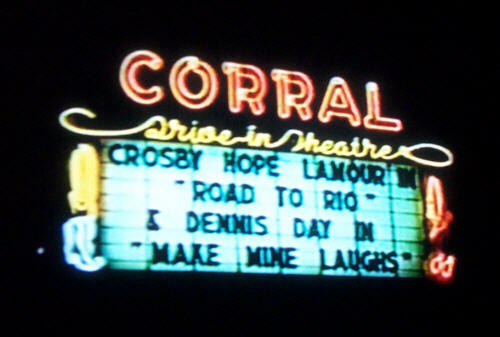 We open the drive-in in late April or early May and usually go until late October. The TWIN CINEMA is open year round. Days of operation are Fridays, Saturdays, and Sundays. Hope to see you there! The CAMEO is open every night of the year except Christmas Eve. 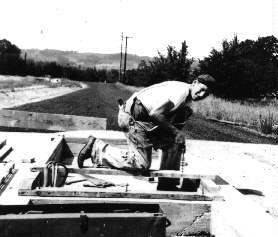 Pictured below, construction at the 99W, 1953.